An Afghan peace envoy reportedly held secret talks with former Taliban officials in China last week in an effort to bring the insurgency to the negotiating table. The meeting was facilitated by Pakistan's intelligence agency. The two-day talks were aimed at discussing preconditions for a possible peace process, The Wall Street Journal reported, citing sources briefed on the matter by the parties. The meeting, held on May 19-20 in the northwestern Chinese city of Urumqi, was facilitated by Pakistan's intelligence agency. Although Afghanistan's peace-negotiating body often holds talks with the Taliban, such high-level meetings are unusual, the WSJ reported. The three former Taliban officials who attended are based in Pakistan and are close to the Taliban's leadership council, based in Quetta. The meeting was also attended by Chinese officials and members of Pakistan's spy agency, the Inter-Services Intelligence directorate (ISI). However, in a statement Sunday, the Taliban denied the meeting took place. Pakistan's support of a peace process is seen as crucial, as much of the Taliban leadership has been based in the country since 2001 – and its fighters have used border areas between the two countries as an operational base. The meeting's China location is also key, as Beijing has made increased efforts to play the role of mediator in the conflict, facilitating conversations between Afghanistan and the Taliban in regard to peace talks. But relations between Pakistan and Afghanistan are not without tension; Afghan and Western officials have repeatedly accused Islamabad of effectively controlling the Taliban insurgency – an allegation that Pakistan has denied, despite acknowledging it has some influence over the movement. Previous efforts to bring the Taliban to the negotiating table have failed. 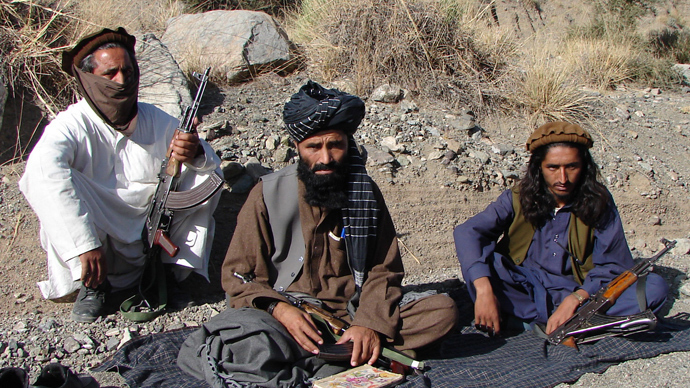 In June 2013, the Taliban opened an office in Qatar for the 'Islamic Emirate of Afghanistan.' It also raised the same white flag flown during the group's five-year rule of Afghanistan – a move that angered then-President Hamid Karzai and the US, and led to the derailment of talks. Afghanistan's current president, Ashraf Ghani, has pushed for peace talks with the Taliban since being elected last year. But despite regional efforts for peace negotiations, the Taliban is still taking part in a nationwide offensive, which has led to casualties on both sides. The movement insists that all foreign troops must leave Afghanistan as a precondition for negotiations.